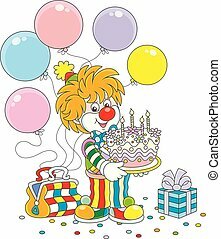 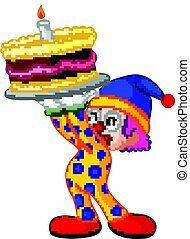 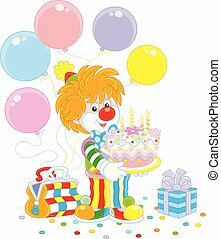 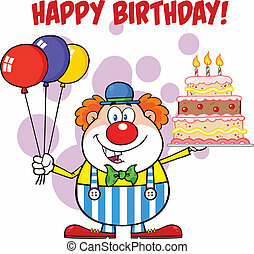 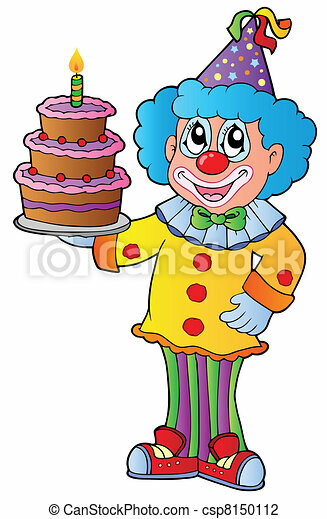 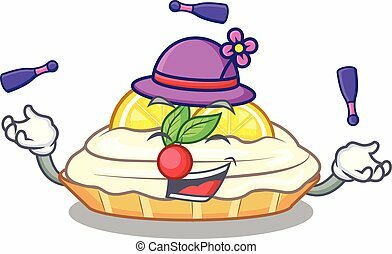 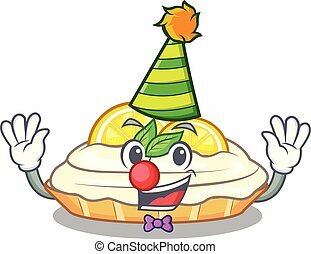 Cartoon clown with cake - vector illustration. 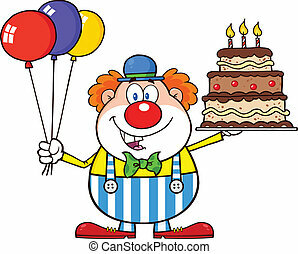 Garland with flags and balls, leading celebration with a microphone, a tray with glasses with champagne, a table covered with a tablecloth with plates, cake and balls. 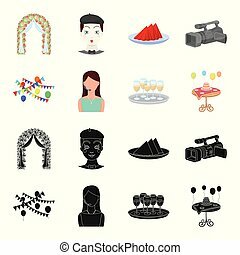 Event services set collection icons in black,cartoon style vector symbol stock illustration . 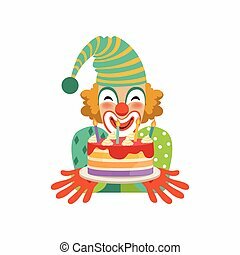 Cartoon cake with big ribbon - vector illustration. 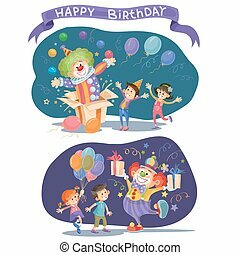 Flying clown with cartoon balloons - vector illustration. 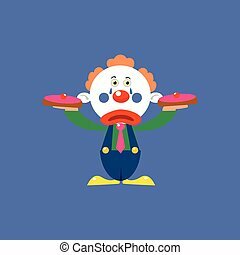 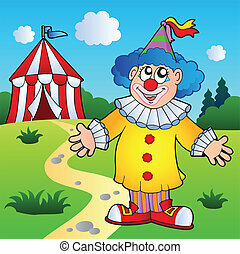 Cartoon clown with circus tent - vector illustration. 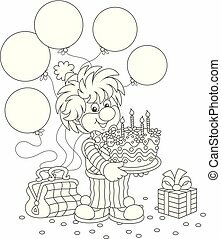 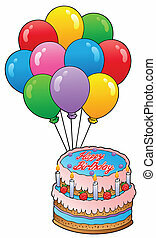 Big cartoon cake with candles - vector illustration. 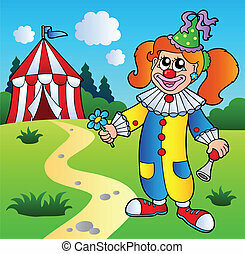 Cartoon clown girl with circus tent - vector illustration. 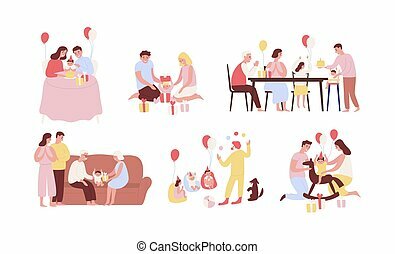 Granny with cake - vector illustration. 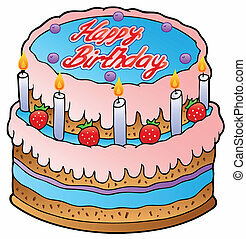 Birthday cake with strawberries - vector illustration. 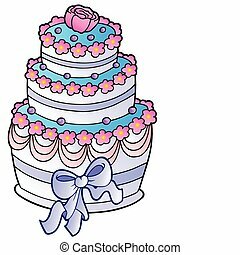 Wedding cake with ribbon - vector illustration. 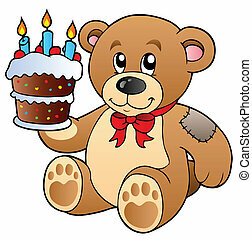 Cute teddy bear with cake - vector illustration. 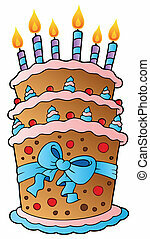 Birthday theme with cake 1 - vector illustration. 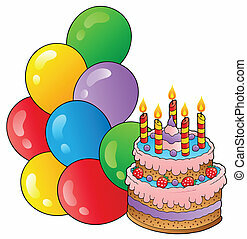 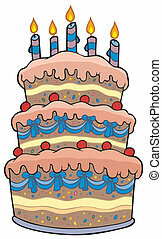 Birthday theme with cake 2 - vector illustration. 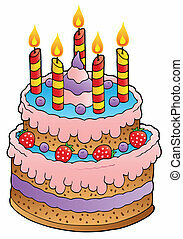 Cake with candles and strawberries - vector illustration. 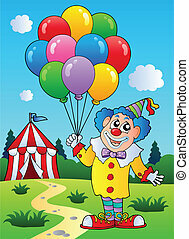 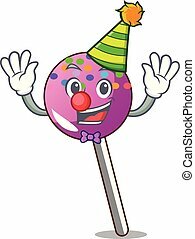 Clown with balloons near tent - vector illustration. 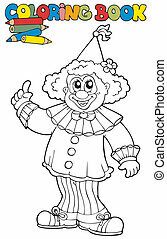 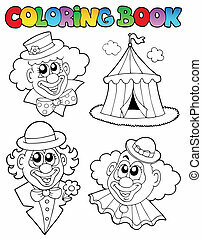 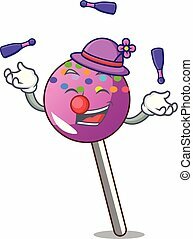 Coloring book with clown images - vector illustration.